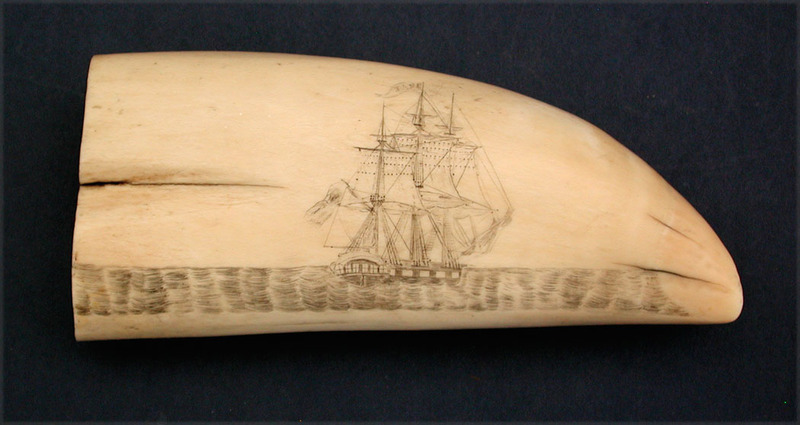 SCRIMSHAW TOOTH engraved one side with an over the stern starboard view of a ship at sail in an open sea. Vessel flies an unidentified flag off her stern and on the mast a pennant with the name "JANE". Condition excellent. Light, even age color throughout. Nearly solid tooth that measures 6 3/4" l. x 3" w. Circa 1840-50.